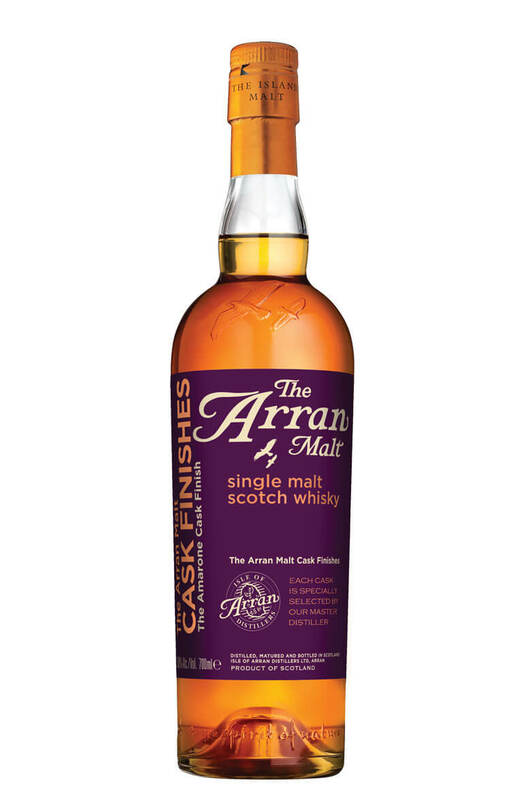 This is one of the members of the cask finish series from Arran. The first release of Amarone matured Arran malt received an incredible 96/100 in Jim Murray's Whisky Bible, so obviously the distillery new they were on to a good thing. This has been initially matured in standard American oak barrels before being transferred in Amarone Della Valpolicella barrels. The master distiller then monitors these closely and bottles the whisky when he deems it ready to drink. This has a rich and chocolaty character with flavours of prunes, dried fruits and cinnamon. Types of Barrel used for Aging 8 years in standard whisky casks followed by a finishing in Amarone red wine casks.